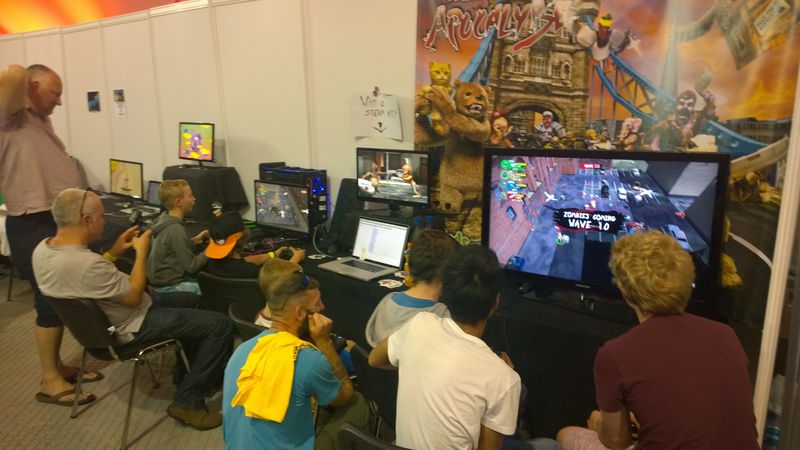 We’ve been showing the game off at various events the last two months including Insomnia55 and EGX. Refining the game, adding new stuff and really love seeing people play. 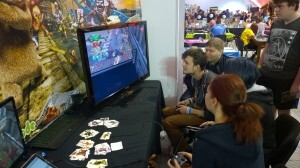 At insomnia we tried out our new game mode Rush an intense game mode where we chuck the chaos at you. 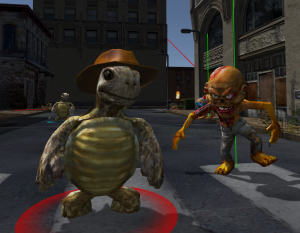 Plenty of zombies, fast action, then we chuck more bosses in keeping you on your toes. It was a game mode that we planned to have for a while but works really well at exhibitions with quick play sessions and more people can play. We added in features like drop in and out, revive friends and gave you plenty of ammo. 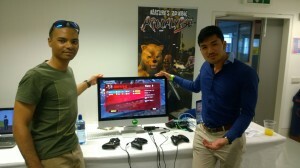 We had it set up on our 46″ screen with 4 controllers set up hooked upto the razor PCs insomnia provided. 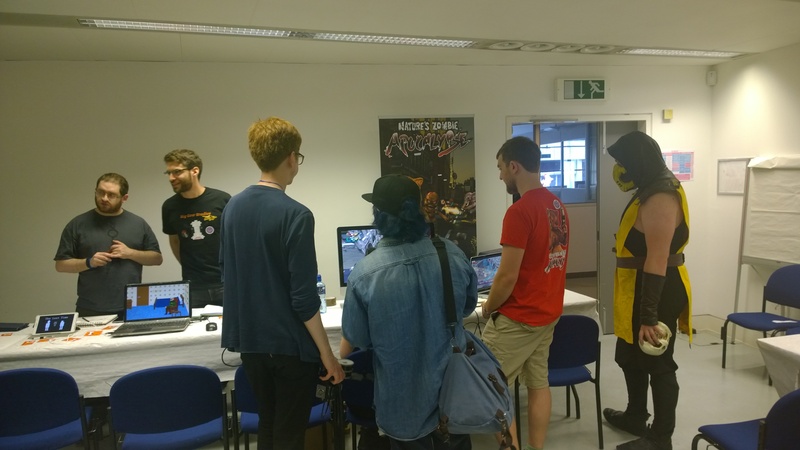 The game ran really smooth and was great fun but we had more space so ended up setting up another machine with so more people to play. Here comes more chaos! 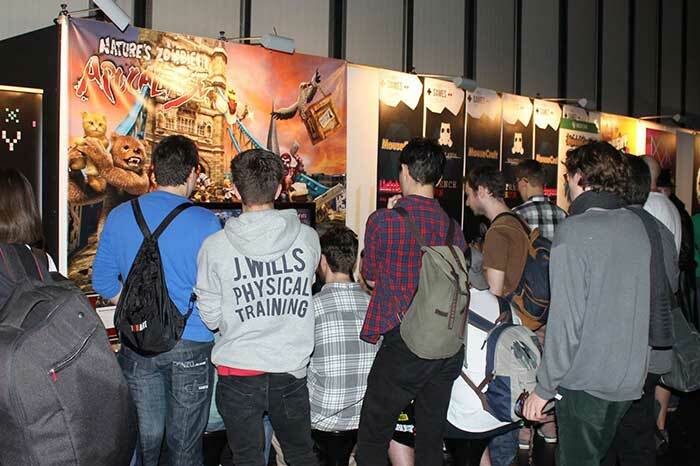 EGX was amazing we decided to add as much as we could to the game before this event adding in our new level Trafalgar Square and the brutal Queen with her lazer beam sceptre. 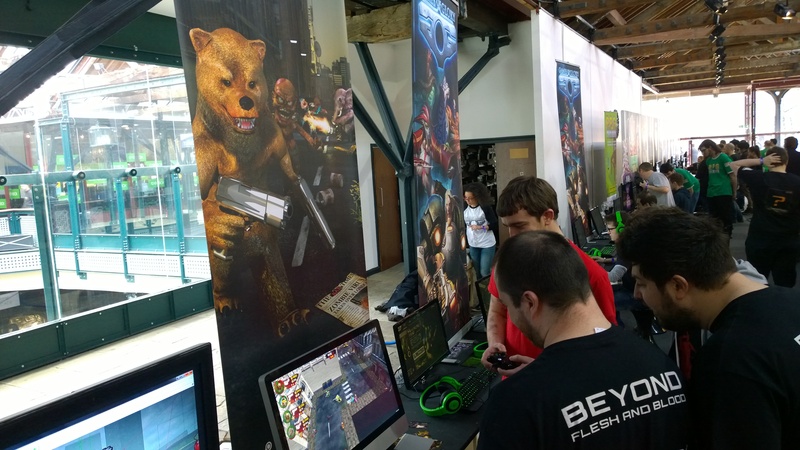 We had a banner printed specifically printed for this stand, had a good, newly setup PC to run the game and my 46″ tv. The stand looked good in the indie section. First day we had 4 controllers set up. We had tried 8 players only once at anime gaming con on my iMac and thought it worked on PC too. There was a limit on windows inputX (the mode we were using to connect the controllers) which meant that we were limited. We couldn’t have that we wanted eight players. 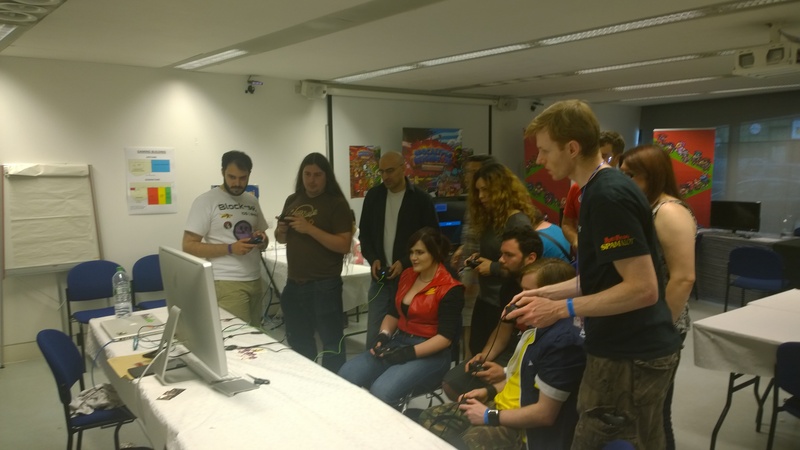 So Rob decided that night he would reprogram the way the controllers worked and enable 8 players on windows. 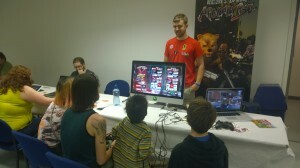 Amazingly on day 2 everything worked WE HAD 8 PLAYER games going all over the place. Even added in new features like pressing down on the D-pad shows a beacon where you are and some other small tweaks to get it playing well. Everyone seemed to really enjoy the game. Getting interviewed by various people and even some small kids came up to me with a mic for there youtube channel. Loved that! While we’ve been on early access for a few weeks I’ve been noticing how people play through youtube videos of the game. 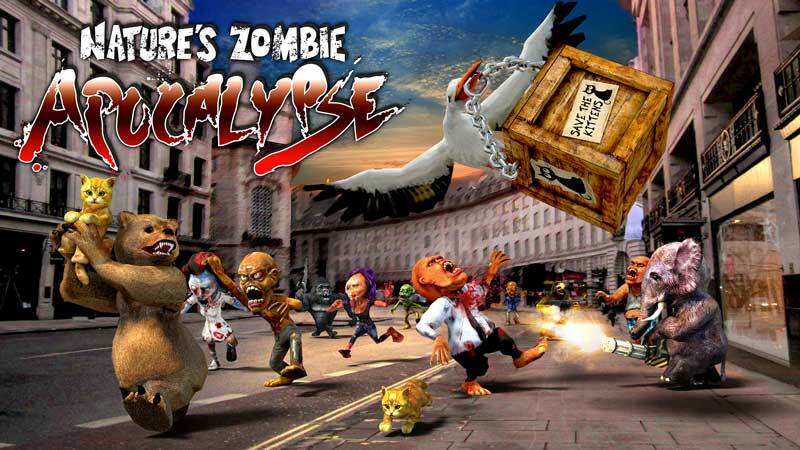 The game feels like it needs some tweaks to get the gameplay right but also it seemed a bit easy for some. We’ve done testing at events and getting lots of people to play and it always seemed about right with the difficulty. But I think the steam audience want more challenges in the gameplay. 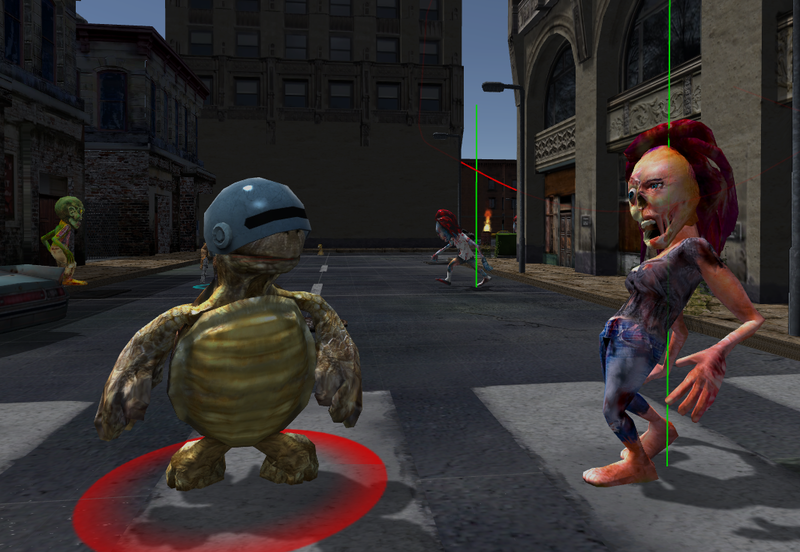 So while Rob (programmer) was away I’ve decided to add some content and create a new boss the epic zombie Queeny. She is going to be one powerful boss with more special moves. We want people to go ahhhhh here comes the queen! 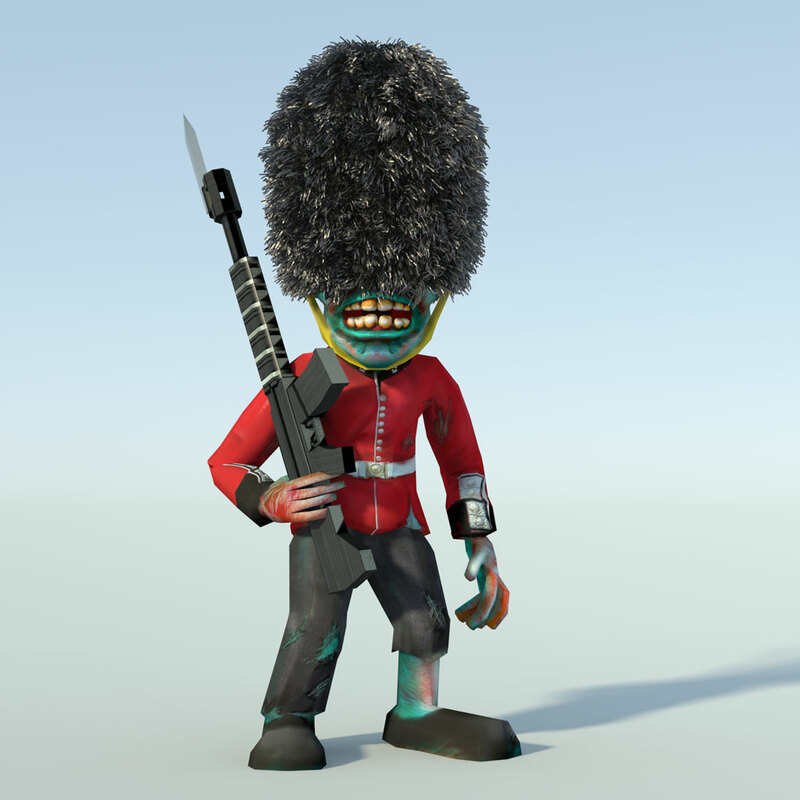 These guys are one of the first zombies I’ve made with a weapon. An riffle to. Think we are going to make them come out f the ground and start shooting. 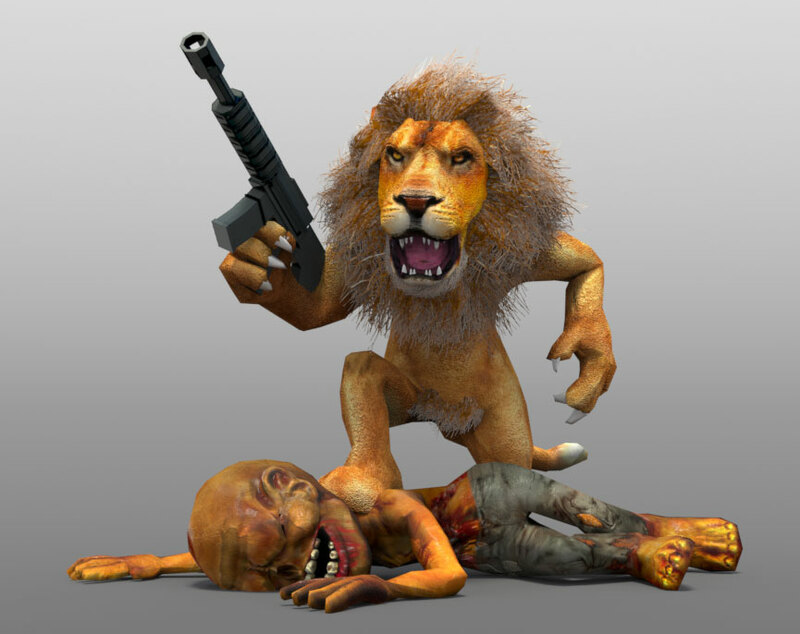 If they get shot to rag doll then they drop there gun and run after you like a mad manic crazy dude on crack. Back to queen what else shall we make here do. Well she can’t just walk around. So i think lets give her a Spetre that shoots a massive Lazer beam ….. WHY not? So I created an animation for it. 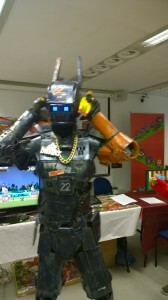 Think this boss will be awesome when we program it into the game. And will do an update on the progress of it soon. We have release NZA on Steam early access. 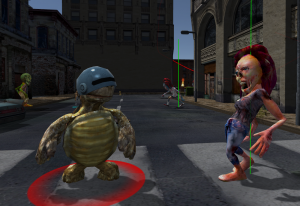 We did loads of testing before taking the leap and are happy how the game plays at the moment. 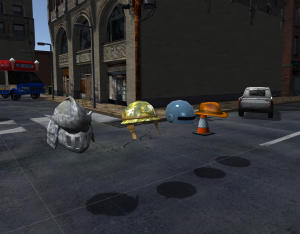 We are planning to do constant updates to the game adding levels, characters, funky weapons and of course have to add few more hats. There has been a few youTubers giving the game a play through. Been great to see them respond to the game. Can’t wait to see some multiplayer youtube videos. 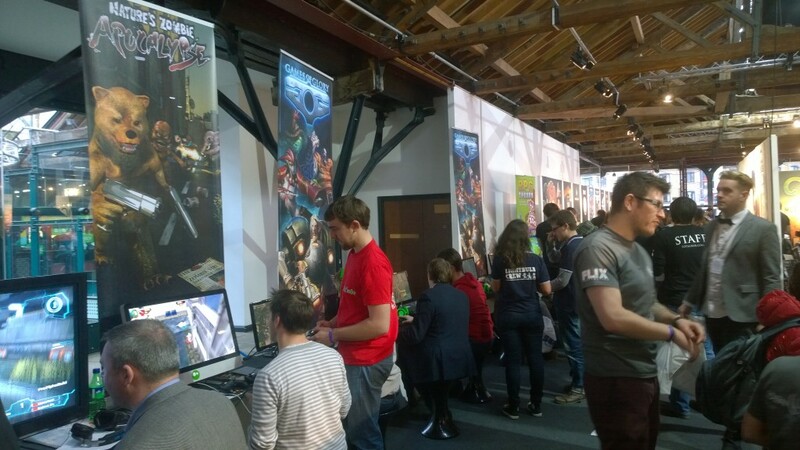 We recently took our game to EGX rezzed and showed it off to the many gamers there. Four player games constantly for 3 days was awesome! 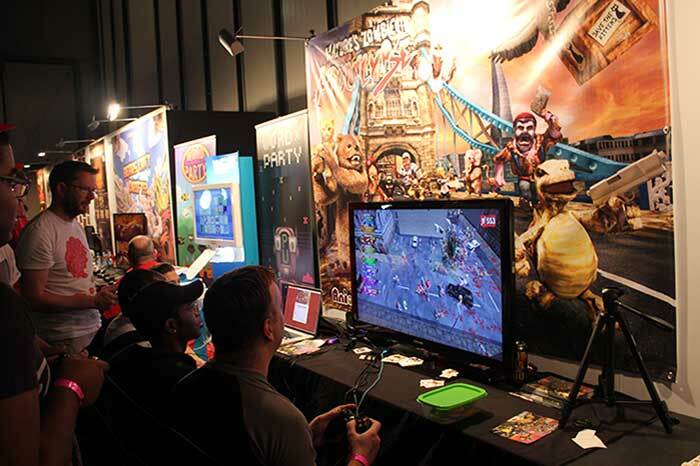 At one point we hooked up 6 controllers, which was manic. The game is designed to run with up to 8 players, but the small space we had made it a bit cramped with 6, so we quickly reverted to 4. 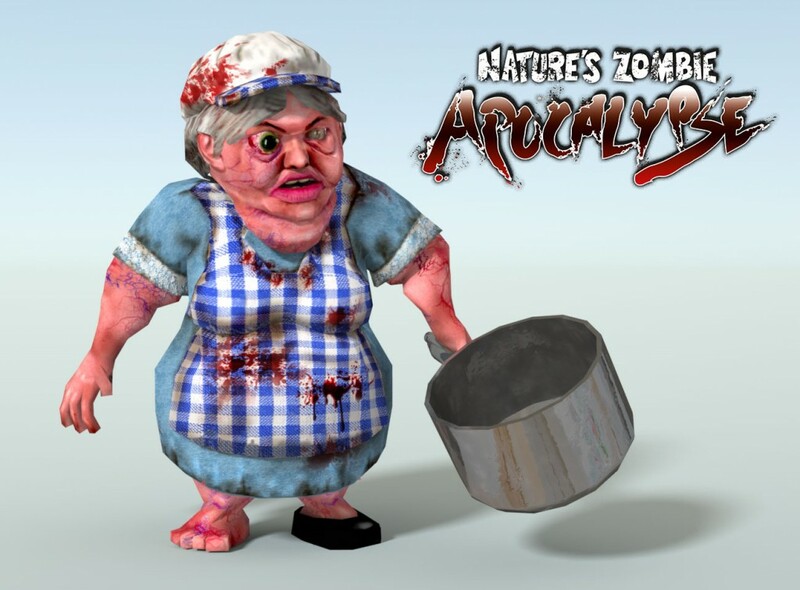 A few days before the event we added in our first boss, the Zombie Dinner Lady. I made her way back in January but we only just got round to putting her in. She is crazy runs after you with her pan and pummels you to the floor or whacks you with her rolling pin and you go flying. Everybody loved/hated her and she was great for breaking up gameplay. We are definitely going to add in a whole load more big brutes soon! During the event we found that there were little things that we needed to change, small bugs that we noted down and corrected on the first night for the next day. Like the turtles spinning rage move hit players over. Something we never noticed before. At one point we had a group of 4 players that started shouting at the screen as they struggled to stay alive, they had just one player left as the dinner lady charged after him “Ahhh the dinner ladies after me”. They set the current record of the day reaching round 16 which they later realised made them the current world champions. On the second day we had loads of people come over to play. 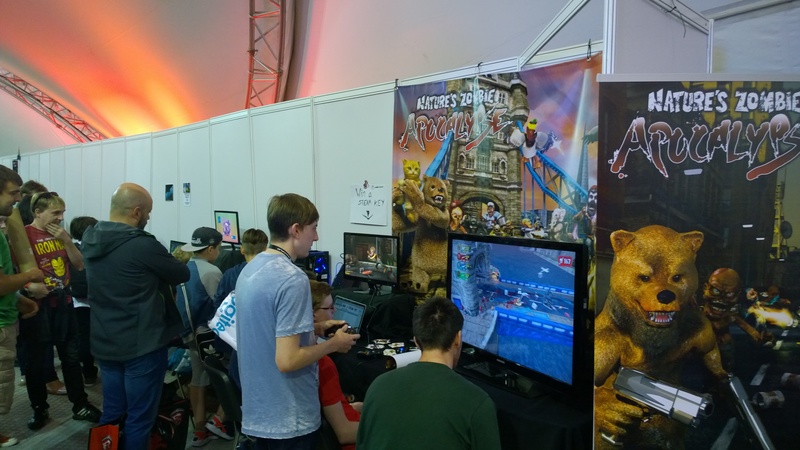 We challenged groups to beat the EGX record of wave 16 and most groups just couldn’t do it but one group managed to work like a small tight nit commando team of a bear, duck and turtle. They covered each others backs and found random tactics like freezing the dinner lady as other team mates shoot her. We were watching closely as they reached over wave 18. Then when they reached wave 20 things started to go wrong. They actually passed the point that we programmed too. 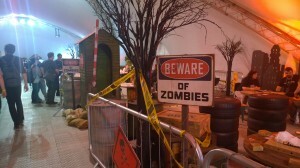 It was meant to be infinate but there was small little bug that meant no more zombies would spawn. 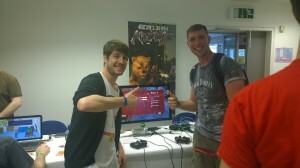 They beat the demo and claimed victory for the highest level of EGX. 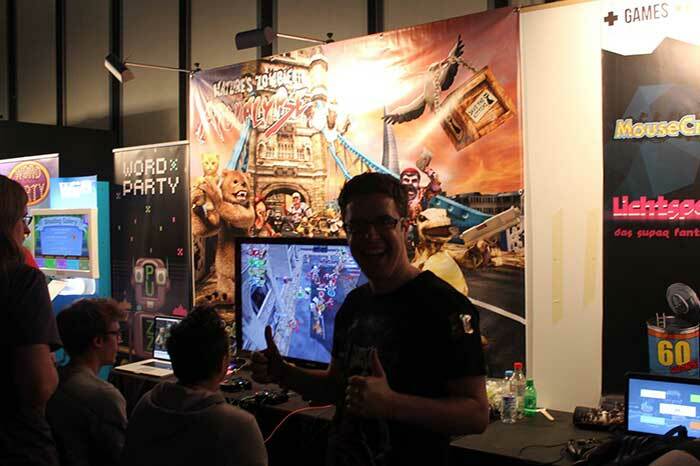 Third day we fixed that bug but also made things a bit more difficult. 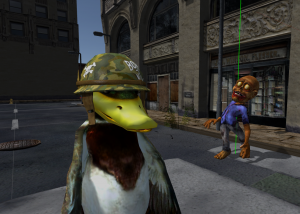 The zombie dinner lady got little faster. 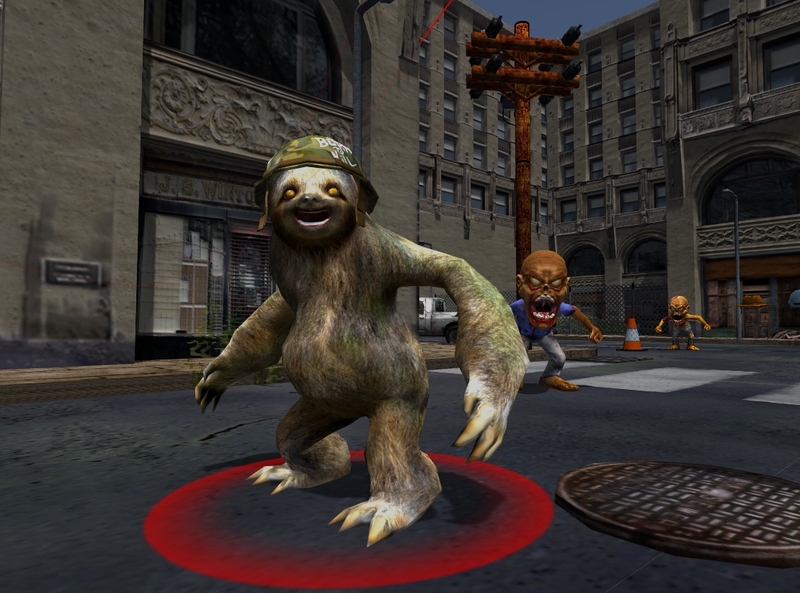 The zombies got stronger each round and the game was infinite. 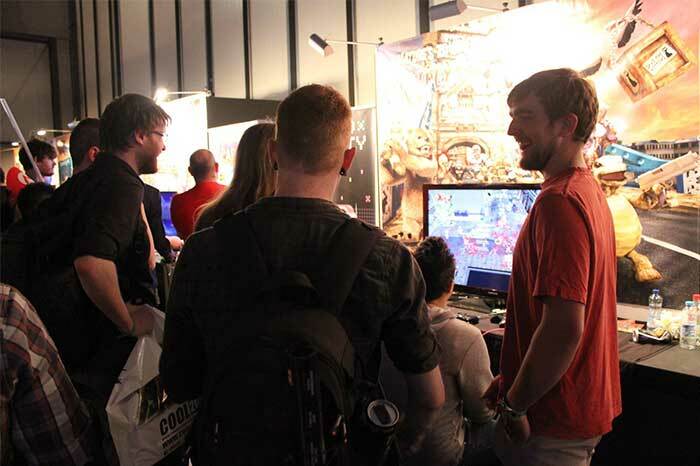 It was the busiest day of EGX and people ended up dyeing a lot on wave 4. Highest reached that day was 14. 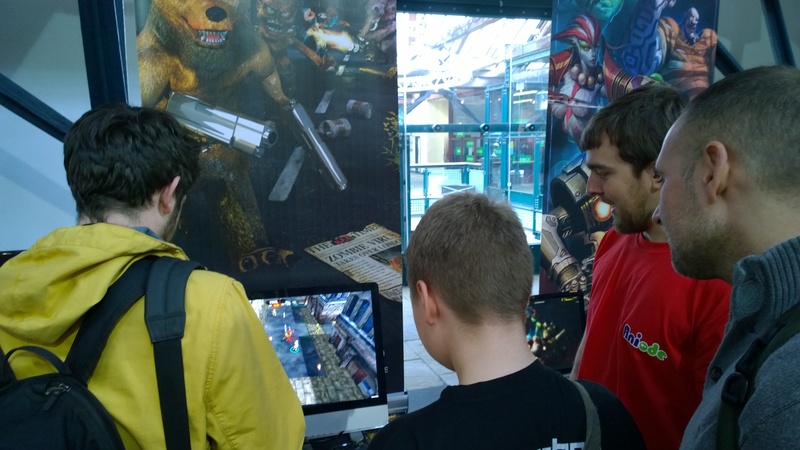 Everyone seemed to enjoy the game and we came away with loads of ideas on how we are going to tweak the gameplay. We can’t wait to show people again! Quite time where only one player was playing. Probably the only time when I could get my camera out. We are making a game mode which involves a bunch of kittens. Had to make it cute so went on the web to find lots of cute little kitten pictures. Of course there is no shortage of kitten pictures on the web, this didn’t take long. I decided to make some screen capture videos of me modelling the kitten, UV mapping, texturing, simple rigging and posing. 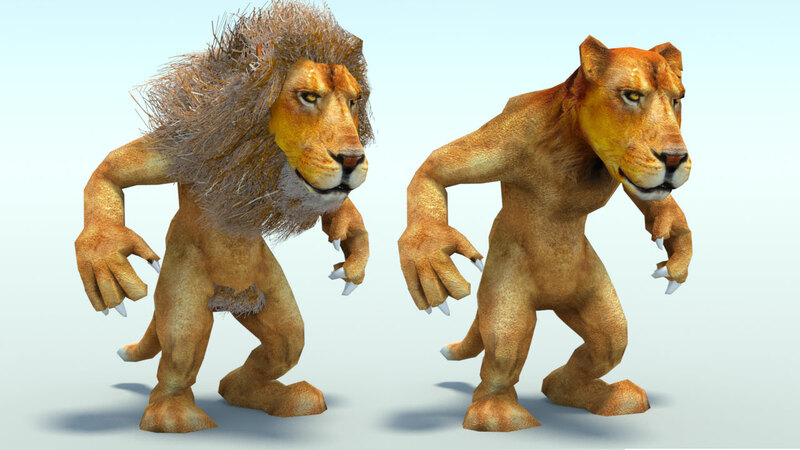 I use Modo for creating models and animations for the game. 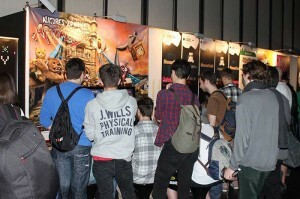 Its not a wildly recognised program but a very well established one within the games industry. Its sometimes used with other tools like Maya or 3D max and everyone just hears about them instead. 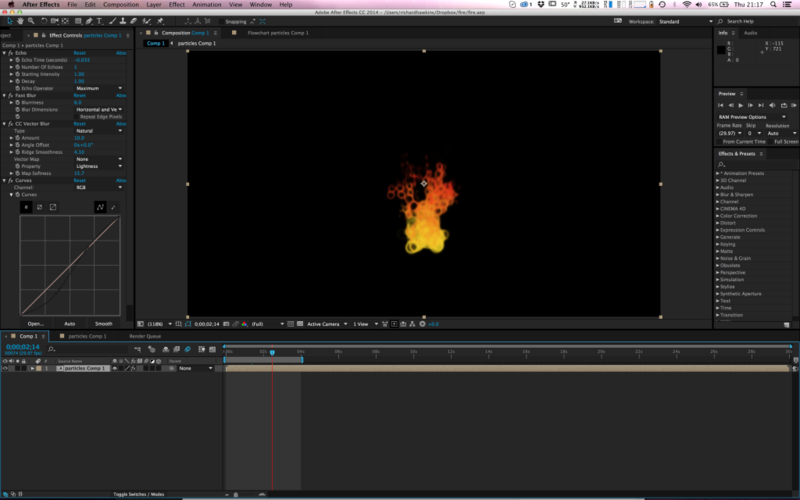 I personally like using Modo, for me its a tool made for artists and it feels very intuitive.